Thank you! I appreciate the insight. I have definitely noticed all of the promises that technology seems to make. Even the ones that they seem to deliver often have unaccounted for drawbacks later on. I hope to spend a fair amount of time developing my career as a trucker. Hello! I am currently studying to get my CDL. My question for those in the industry right now is to what degree do you think that automated driving will play a future in this industry in the next 10-20 years. 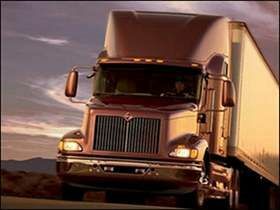 I have seen videos of some companies already capable of using automation for very long haul trucking. I do think that this is something that will take some time for the infrastructure to really develop, but what would you say the odds are of me needing a career change because of automation in the 10-20 year time frame if I get started with company sponsored training in the next few months?